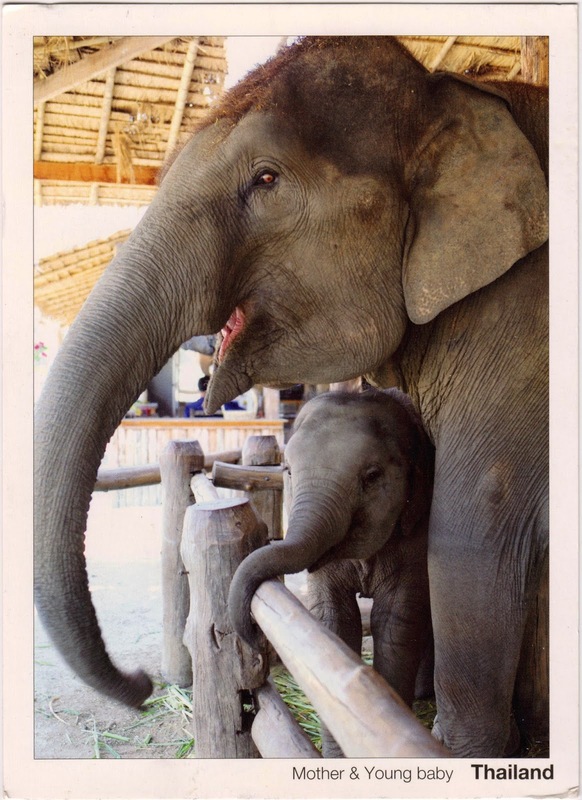 Earth Day celebration continues as postcard TH-165704 from Thailand arrived yesterday, showing a pair of mother and baby Asian elephants, the largest living land animals in Asia. Since 1986, E. maximus, one of the three subspecies of the Asian elephant, has been listed as endangered by International Union for Conservation of Nature (IUCN). In 2003, the wild population, mainly living in Sri Lanka, was estimated at between 41,410 and 52,345 individuals. According to a 2008 study, The population had declined by at least 50% over the last three generations, estimated to be around 60 to 75 years. Like many other threatened species, habitat loss, degradation and fragmentation was a major factor.